Richmond, B.C – September 7, 2016 – Corvus Energy Inc., a Canadian manufacturer of lithium-ion based battery systems, is receiving up to $469,500 in non-repayable funding from the Government of Canada. The funding will support Corvus’ continued development and expansion of its next generation line of maritime energy storage systems (ESS) – Orca ESS. This investment is made through the National Research Council of Canada Industrial Research Assistance Program (NRC-IRAP) which supports numerous small and medium-sized enterprises in Canada every year in the development and commercialization of technologies. NRC-IRAP works with industry to bridge technology gaps, helping build a more innovative Canadian economy that reflects today’s global realities. Orca ESS is the recently announced product line from Corvus which is specifically designed for hybrid and all-electric maritime applications. 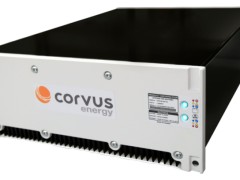 As the leading manufacturer of energy storage systems for maritime applications, Corvus designed the Orca ESS solutions portfolio based on the experience from 50+ maritime projects utilizing a Corvus ESS, totaling over 35MWh and 1 million operating hours. 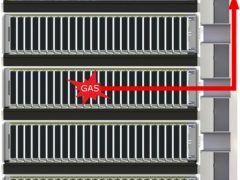 Rather than a single product, the Orca ESS product line delivers a range of products that are designed to meet the needs of various customer applications.